This photo of Julie Kemp ran with her column on the 100th anniversary of the Charleston Daily Mail. Kemp, who worked at the Daily Mail for more than 50 years and was a leading figure at the Charleston Ballet, died this week at age 87. 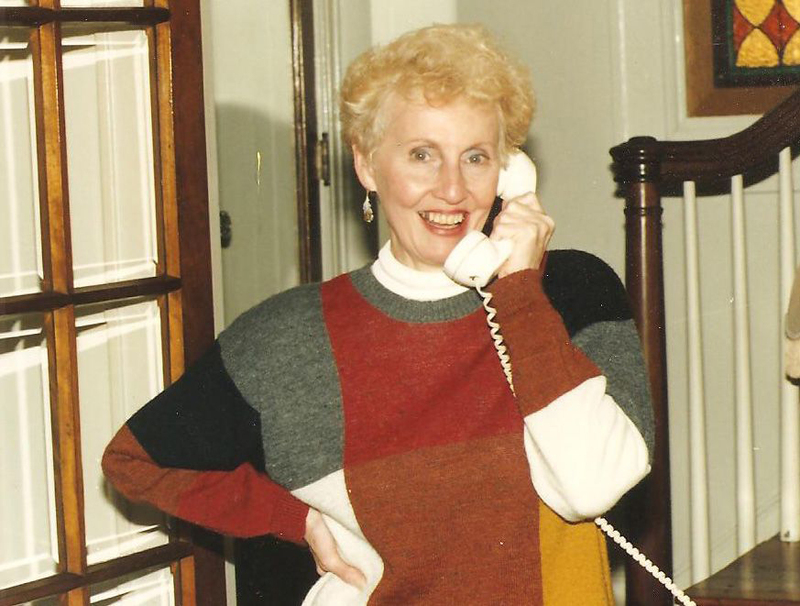 CHARLESTON, W.Va. — Julianne Kemp, who worked as a reporter and editor at the Charleston Daily Mail for more than half a century and was also a leading figure at the Charleston Ballet, died this week at the age of 87. Known as Julie, she was born on Feb. 5, 1930, in Huntington, the daughter of Thomas Henry and Anne Lorraine Wood Kemp. She graduated from Charleston High School and attended the American School of Ballet in New York City. She joined the Daily Mail full-time in 1948, first in the circulation and classified advertising departments. But she said in a 1979 interview, “Actually, I started work here two years before they say I did” — as a part-time obituary clerk, when she was still in high school. In a column for the Daily Mail’s centennial in April 2014, she wrote that she started on the reporting staff as a wedding and engagement writer.